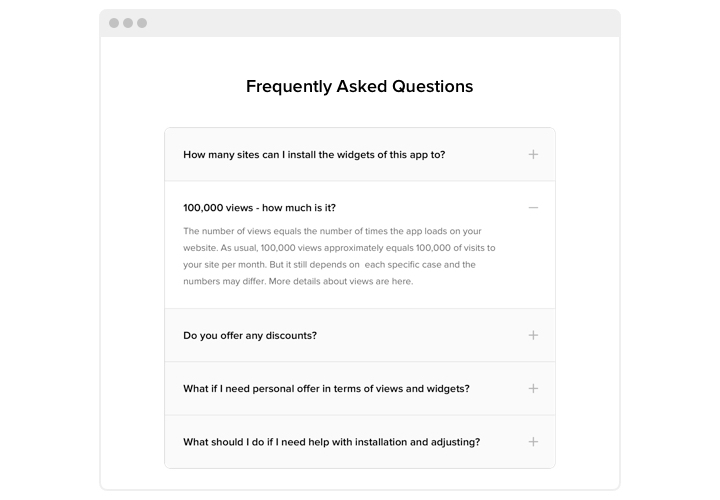 Elfsight FAQ is a simple, easy to apply and customize instrument to demonstrate a list of the most popular questions with answers on a personal website. 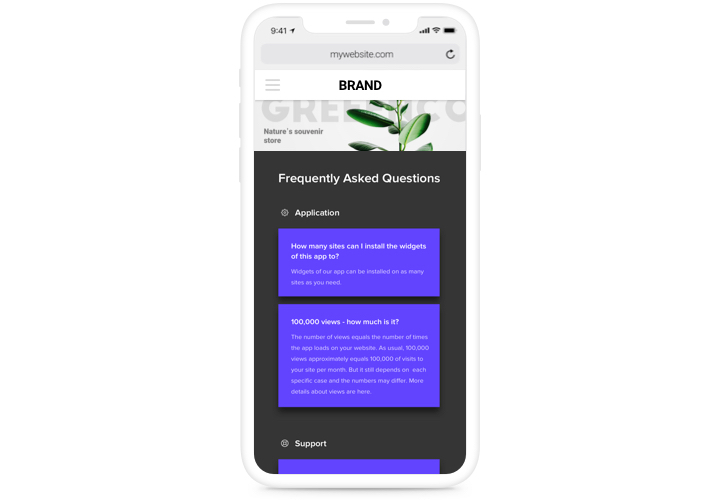 An adaptive extension with simple design gives you a chance to share extensive information about your offers, pay customer attention to the advantages of your products and exclude any possible fears or distrust, which can stand in the way to making a buying decision. 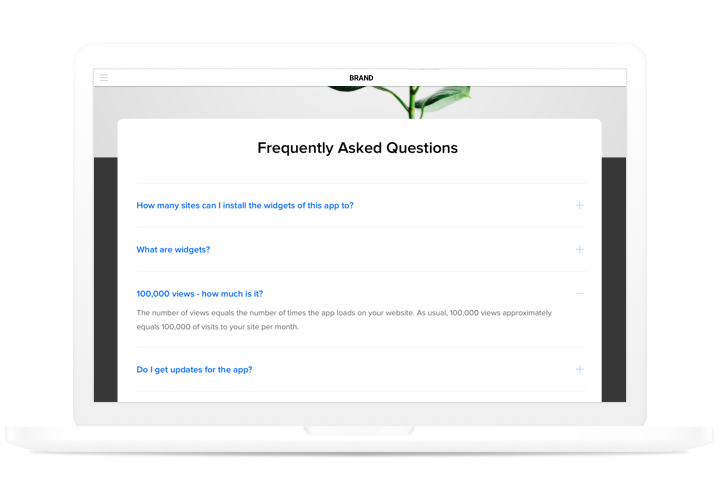 Address the coming questions of your visitors at once and uplift conversion on the site! Eliminate any doubts your clients may have and level up your income. 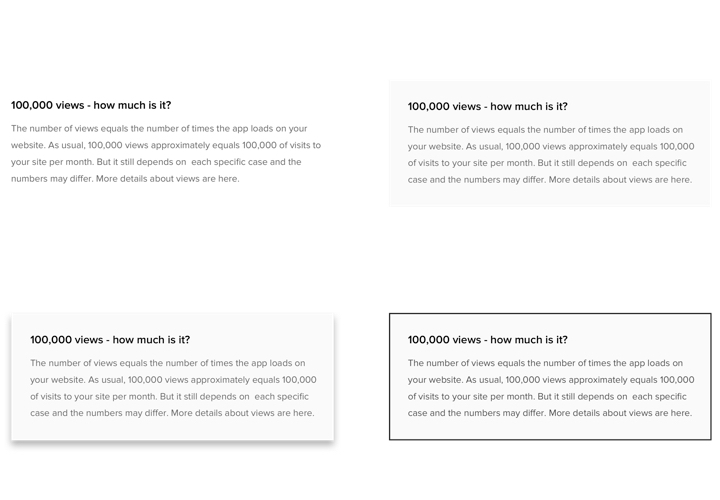 Display extensive data about your products or offers to your potential shoppers, to address their indecisiveness and increase income on the site. Make an effective image of your brand among customers. Draw the right image of your company for website visitors, to correct all possible misconceptions. 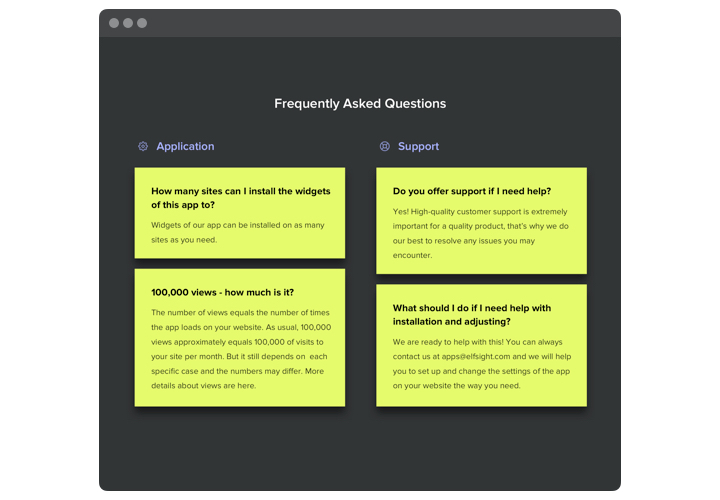 Answer every question your client have in no time. Help your visitors have the fullest info about your goods or services and prevent queries that may appear. The main functional aspects of our extension, which let it become the most flexible extension to integrate FAQ on Magento website. Create a extension using our concise guide. You don’t need knowledge in development, or help of a professional programmer. Complete setup time is only 1 minute. On Magento marketplace, find the extension page and click «Add to Cart», to start loading. Go to your administrator panel of the website and activate the extension. 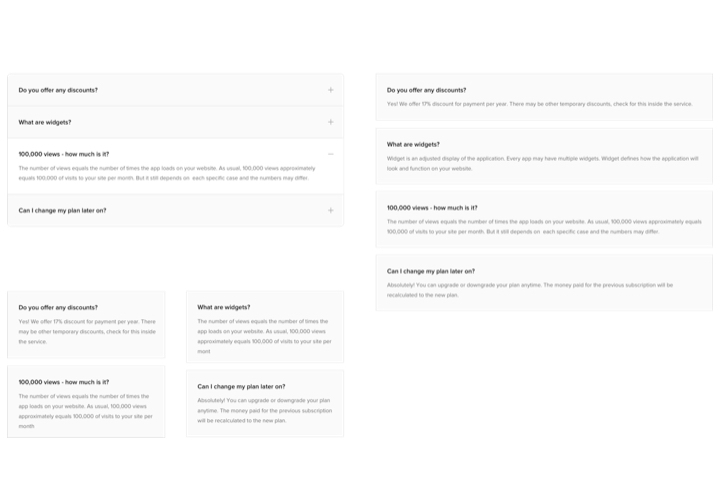 Set needed configurations of the template and add information for FAQ. Place the extension on site. Add the extension on the website, to the required area, and publish the results. Widget setup on is complete!. Enter your site, to see the results! Have questions about applying the guide? Leave a message at our support team or read an extensive instruction «How to add FAQ to Magento» and do the setting yourself. Design Magento FAQ extension in just 2 minutes!